Such amazing pieces of goggles can also provide improved definition & contrast you can clearly see your way whatever the condition. There are actually two various types of goggles available for the people and they include cylindrical goggles and spherical goggles. These are all categorized into the types of lenses used in such devices. 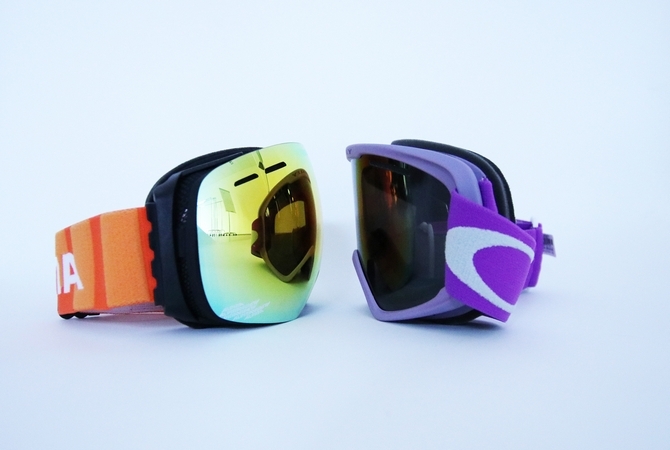 Cylindrical goggles provide you good performance but at the same time, there are increased risks of distortion and glare to distract your concentration on the snow ride. With all these reasons and risks, it is better going to the spherical lens goggles to enjoy their extraordinary benefits. Whenever there are spherical lenses in the goggles, they curve both horizontally and vertically to actually create the bubbled look. In the end, these kinds of lenses improve peripheral vision on the users as compared to the flat lens. Peripheral vision – With the wide surface area of the lens, this sort of spherical lens can allow the users to see more below, sides and also above you. Distortion – The flat edges used in the cylindrical lens will cause the visual distortion to the users whereas the spherical lens allows tapering to see everything in all ways around you. Thus, it can able to reduce the visual distortion of the users. Glare – Spherical lenses in the goggles are well manufactured to have strategical curves in order to reduce glare. Avoid fogging – They will provide the best level of airflow and insulation to reduce a chance of fogging. By using spherical lens goggles, you can completely experience their benefits with the reduced glare and distortion.